Once-a-year pressure washing job could save you hundreds of dollars on future home repairs in Winston-Salem. Customers are always asking me “What are the benefits of pressure washing?” We’d like to take a moment and give a very detailed answer to that question. 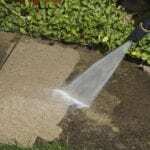 Simply put, pressure washing uses a high-pressure water spray to blast away the dirt that is surrounding your home. It can be used to clean a multitude of surfaces, including aluminum or vinyl siding, concrete, and even wood. There are also many benefits associated with pressure washing, like preventative maintenance, self-satisfaction and home appeal, and not to mention health and safety. One of the most beneficial reasons to having your Winston-Salem, North Carolina home pressure washed is because it can help save you money on any repairs needed in the future. Pressure washing should be scheduled regularly just like any other home maintenance task, such as window washing or cleaning out your gutters. 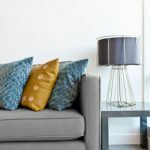 Unfortunately, though, because of the many different and high importance demands of our day to day, we tend to forget about home maintenance or simply just don’t make it a big deal. The reality of this, though, is that it can be a huge help, even when done only once a year. Pressure washing can increase the lifetime of your home and outdoor properties by years by reducing the amount of dirt, mold and mildew on these items and delaying any sort of rot and decay these things may cause. Simply put, something as small as a once-a-year pressure washing job could save you hundreds of dollars on future home repairs. Another great reason to have this service done is for simple self-satisfaction and the appeal of your home. Your home is a huge financial investment, and we know you work hard for it. If you’re thinking about repainting or replacing some of that dirty siding, let us help before you spend all that extra money. Our customers are always impressed with how much a simple pressure washing can do for their home’s attractiveness and end up saving money by not opting for those more tedious and expensive tasks. Another reason for this may be that you’re trying to sell your home. 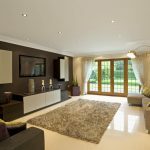 When a possible buyer looks at your home and gets a good first impression, it can add a value of up to 5 or even 10 percent! Along with all the other reasons we’ve mentioned, there’s also the factor of health and safety. If you’ve got any of that excess build-up of dirt, mold, mildew, or even oil, it can be harboring several thousands of living bacteria and allergens. Mildew and algae like to grow in damp or shadowed areas, while oil may drip from your car onto the driveway. By pressure washing these areas and removing all of these foreign invaders, you are not only protecting your family (and any visitors to your home) from getting sick, but also from any bodily harm that may come from slipping on some of these very slippery surfaces. Use the right spray nozzle. There are many different nozzles, and each one provides a specific pressure for that specific surface. Add a commercial-grade, eco-friendly detergent to the water being used to help with the removal of even the toughest dirt and mold. Start spraying with the stream away from the surface and slowly make your way closer to it. Working from side to side, start with the top and work your way down. With all of this information, we can conclude that pressure washing will not only save you money but also increase the look and health of your Winston-Salem home. 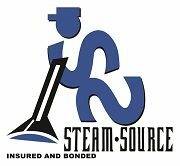 At Steam Source, we offer pressure washing services in Winston-Salem, Greensboro, Kernersville, Clemmons, Advance, High Point, Mocksville, Pfafftown, Jamestown, Oak Ridge, Summerfield, Lexington, King, Walkertown, Colfax, Lewisville, Welcome, Bermuda Run, Thomasville, Yadkinville, and Walnut Cove, North Carolina.